Aerial view of the game. 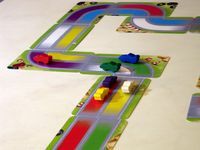 The cars in their starting position. Going in the first corner. 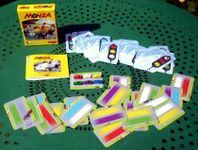 Box contents (with another red car, instead of the yellow one). 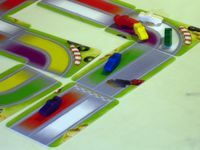 Cards still in shrinkwrap: starting card (left) and traffic light card (right).